For whatever else may pose a threat to your vehicle's road performance, our knowledgeable specialists provide a number of Front End services. And because our work is guaranteed, you can rest assured that you're receiving the best workmanship possible. Let us know how we can help you! 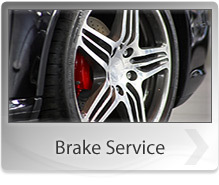 Contact us at 208-357-7665 to set up an appointment for additional quality services. A king pin is the main pivot in the steering mechanism of your truck. In most vehicle steering systems, the pin forms part of the mechanism for turning the front wheels. Failure of the king pin will mean that the steering system will not work properly...and improperly working steering systems can be dangerous. To avoid accidents arising from turning problems make sure your truck's king pin is regularly checked and serviced. To have the king pin and the entire steering system checked and serviced by experts, call 208-357-7665 or visit A&B Transmission & Service Center today. Power steering is considerably useful when the truck is moving slowly or stopped. It also helps you with the feel of the road. To ensure driving safety make sure your truck's power steering is regularly serviced. 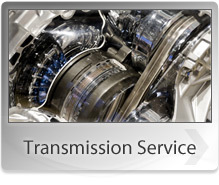 For all your power steering needs, visit or call A&B Transmission & Service Center in Shelley, ID 83274 today. U-bolts are U-shaped bolts with screw threads on both ends. There are many uses for U-bolts - one common use is to attach pipes. For all your spring and U-bolt needs, call 208-357-7665 or visit A&B Transmission & Service Center today.